Roya, a modern middle-class Muslim woman struggles to find herself in the sprawl of urban Bangladesh. After being replaced by a younger actor for the character of ‘Nandini’—the epitome of Bengali womanhood, the central character of Rabindranath Tagore’s political play ‘Red Oleanders;’ she delves into a psychological journey and battles to reconstruct ‘Nandini,’ reclaiming her identity and sexuality in the process. 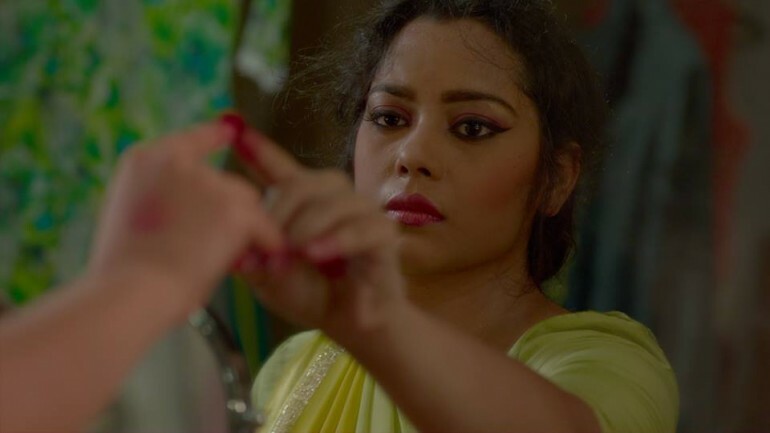 As she sets the play in a modern day ready-made garment factories in Dhaka; her journey to establish her individuality as a middle class woman is juxtaposed with the journey of her teenage housemaid Moyna, who later joins the industrial workforce. Rubaiyat Hossain is one of Bangladesh’s handful of female filmmakers, known for her critically acclaimed debut feature film Meherjaan (2011) which faced political and cultural wrath in Bangladesh for its anti war narrative, and its critic of masculine nationalism from a feminine point of view. The film was stripped down from theaters across Bangladesh only one week after its release, and is still prohibited from being screened. Rubaiyat has completed her B.A. in Women Studies from Smith College, USA and M.A. in South Asian Studies from University of Pennsylvania. Currently she lives between Dhaka and New York making films and attending Tisch School of Arts at New York University in Cinema Studies.